The name of the selected server event is shown here. 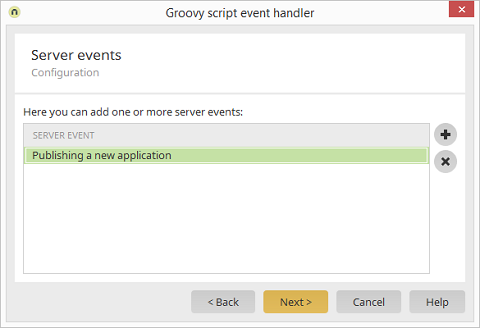 These events can be filtered more precisely in the Groovy script if necessary. If the script returns the Boolean value true (in the Groovy sense), the event will be processed, otherwise it will not be. Opens a dialog where a server event can be selected. Removes the server event currently selected.